Happy Monday! Jaded Blossom's next release is Friday! Here is another sneak for you. 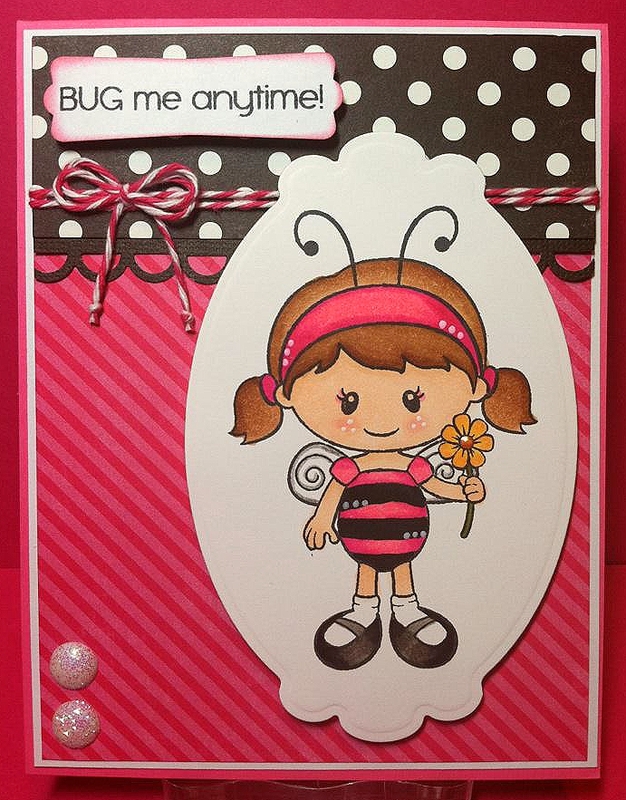 Both "Bug me anytime" and this ADORABLE bug girl are from the new stamp set being release on Friday called Bug-A-Boo! Make sure to check out other sneaks on the Jaded Blossom blog all week long along with here on my blog every day! OF course FREAKING CAAAUUUTE !!! Adorable...I just love it. From the time my son was born, I have always called him my little buggy boo and now he's almost 11 and I still call him that or just buggy or bug. I must have this set. LOVE IT!!! You have selected matching ribbon with the backgound of the card, which made it more attractive.